Get to the next level at Weil Academy! Top US College Placement Program in the World! Weil Academy has it ALL! IF YOU DARE TO DREAM…..THEN DARE TO DREAM BIG! 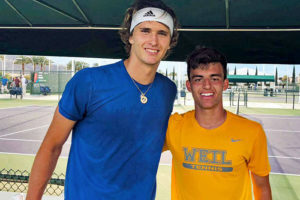 Over 20 years ago, Weil Tennis Academy Founder Mark Weil had a big dream: create the first Full-Time Boarding Tennis Academy in Southern California, the most competitive USTA section in America. Others had tried and failed but Mark’s dream was mighty. 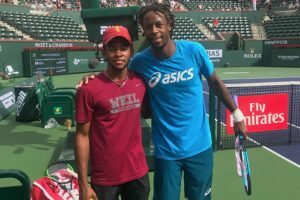 Today, Weil Academy continues to inspire student-athletes from all parts of the US and around the world to commit to their passion for tennis. It helps them get to their games to next level in order to achieve their dreams! Dream big, come to Weil and PLAY AMAZING! UCLA Bruins NCAA Champion and Weil Tennis Academy graduate. CONGRATULATIONS TO OUR WEIL ACADEMY CLASS OF 2019 SENIORS ON THEIR COLLEGE COMMITS! CONGRATULATIONS TO OUR WEIL ACADEMY CLASS OF 2018 SENIORS ON THEIR COLLEGE PLACEMENTS! COME TO WEIL AND LET US HELP YOU FIND YOUR DREAM COLLEGE!